This day is part of the preparation of the cooking event. Testing the recipes is one thing but it is also important to know how to serve the dishes at the event. 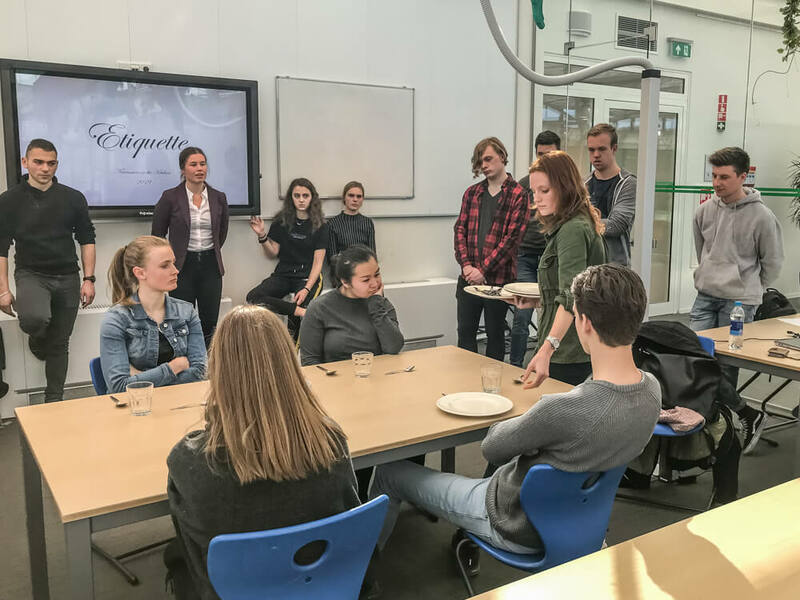 In the morning the students participated in a workshop about communication. They were asked to fill out several questionnaires to determine their communication type such as introvert, extravert, dominant etc. The result of the test says something about the way they communicate but also about the way others in their group communicate and this will improve the overall communication within the project team. This will not only improve their skills for now but will be important also when they are in a professional environment later on. 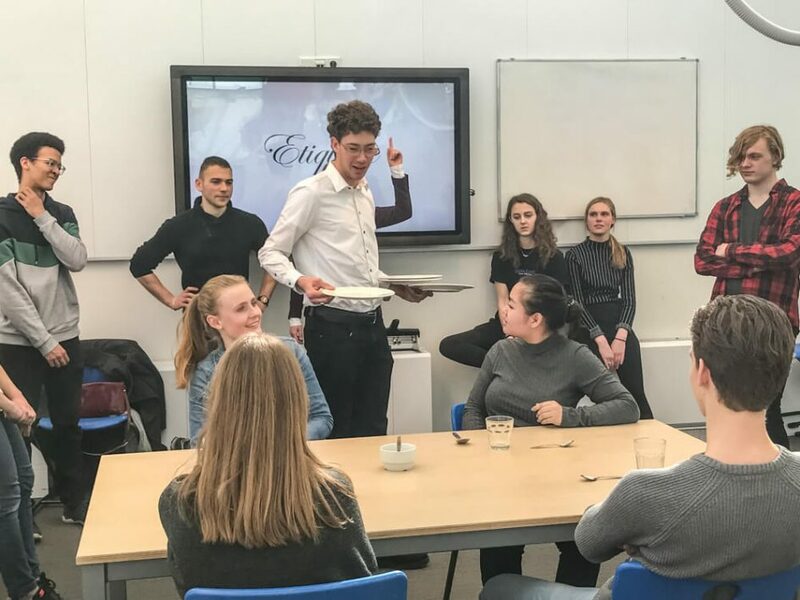 In the afternoon, the students followed a workshop etiquette given by host lecturer Nikki Berghuis, teacher in Hospitality and Hotel Management. 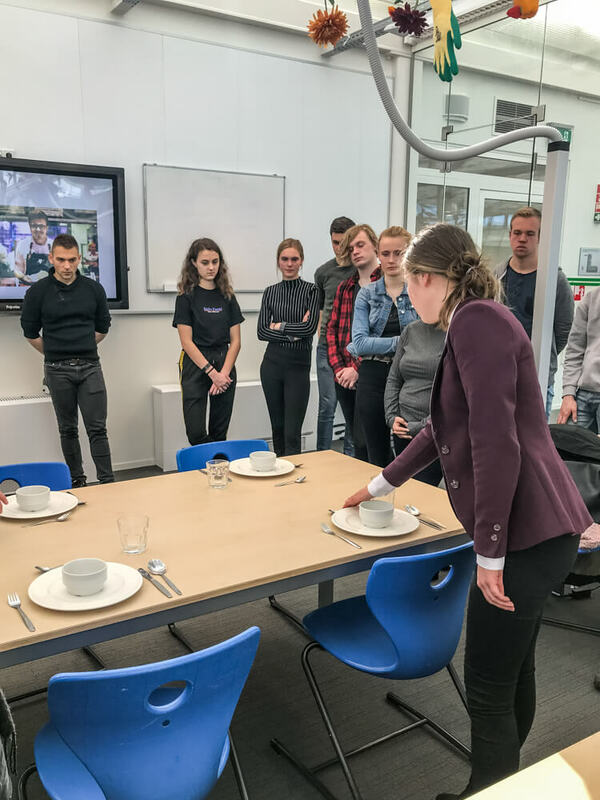 Students were taught about personal hygiene, how to set a table, how to serve, how to clean the table and about personal contact with your guests. It is very important to have clean hands, bind your hair and make sure your personal appearance is perfect. In the past tattoos could not be visible and jewellery was not allowed but nowadays this is something that you discuss with your team. Then the students learned about how to set a table. They learned which are the appropriate words to use in The Netherlands. When you serve make sure you smile and show you are proud in what you serve. Start with the ladies, always server from the right, know how to hold the plates. 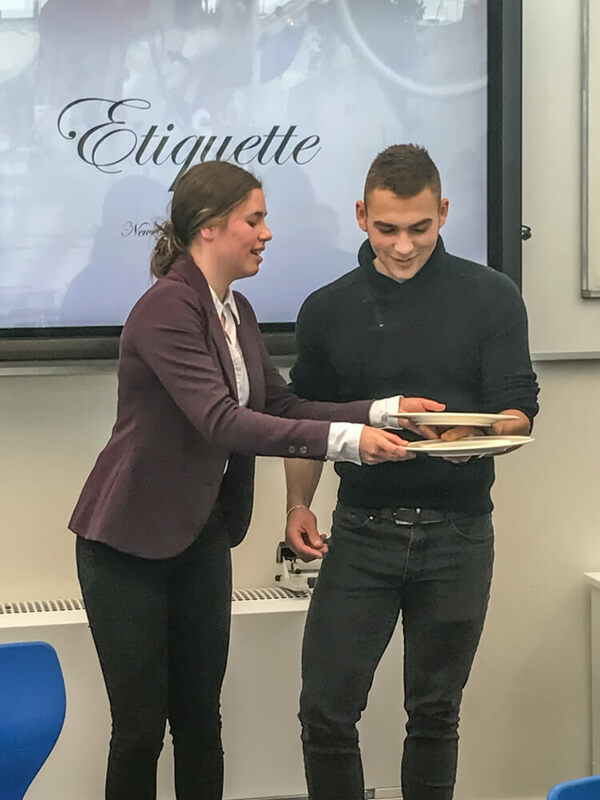 Make sure you have personal contact; welcome your guests, smile, address them in the right way, give short explanations, show you are proud, ask if everything is according to their wishes, start a small conversation so guests feel they are welcome. Then students had to set a table, had to try how to hold the plates, serve the table and how to clean the table. She had a lot of good tips for the group! The second part of the afternoon was used to see how to place the tables in the room, make a schedule and form groups. Everybody is a bit nervous for the upcoming event but at the same time also looking forward to it.